Recently we observe activating of the geopolitical and geo-economic processes in the region. Mutual attacks alternate one another with great intensity. Turkey, Iran, Russia, South Caucasus countries, as well as our neighboring Central Asia countries – Kazakhstan and Turkmenistan – during the last year all these countries became very active geopolitical and geo-economic areas. But it is hardly possible to analyze, evaluate, and receive total logical understanding of the specific tactical approach to the new tendencies taking place regarding as internal events, as bilateral-regional relations occurring in these countries. It is very important to define and adequately perceive the factors stipulating the power of any specific country, particularly Azerbaijan, within the common geopolitical and geo-economic strategic frameworks. Constant factors stipulating the geopolitical and geo-economic power are the factors unchangeable within the existing parameters of the countries for the short and medium periods of time by their own will. The factor of culture is the central constant factor in this concept. This culture factor differs from simple art in our understanding; it should be interpreted as totality of potentials and abilities of more widely and close understanding, changing and creation of the new values. Thus, according the opinion of the concept author within the certain area (geography) and certain period of time (history) the culture consisting of psychological, social, economic, and political principals based on complex of values forming under the sense of self-consciousness and correlation of the certain human element (population) is the most significant element connecting the constant and potential-changeable factors stipulating the geopolitical and geo-economic power of the one certain country. The factors considering changeable, such as economic, technological and military power, are stipulated by the constant factors, and can be changed under the effect of qualitative human factors. These are the elements changing during the medium periods of time and showing the level of usage of the country potential. The following three factors having multiplicative effect - strategic thought, strategic planning and political will – require historical and national self-consciousness, lofty geopolitical belonging, professionalism and formed traditions of the state organization, free taking decisions and specific knowledge. There are some factors that can be added to this formula and showing the functional quality of the state institutions, quality of accepting and execution of resolutions, aggregation of the human resources quality. Now let’s try to calculate coefficients of the geopolitical and geo-economic power of Azerbaijan and neighboring (as by land, as by the sea) countries using the mentioned formula. 1 – The significance of the factor is low; 2 – The significance of the factor is medium; 3 – The significance of the factor is high. The evaluation represented in the above table is made by author of the present article and has totally subjective character. Is should be considered mostly as an example, not as the result. Any person has the possibility to include new factors in this table and change the figures of this evaluation. Herewith, he can compile his own matrix. 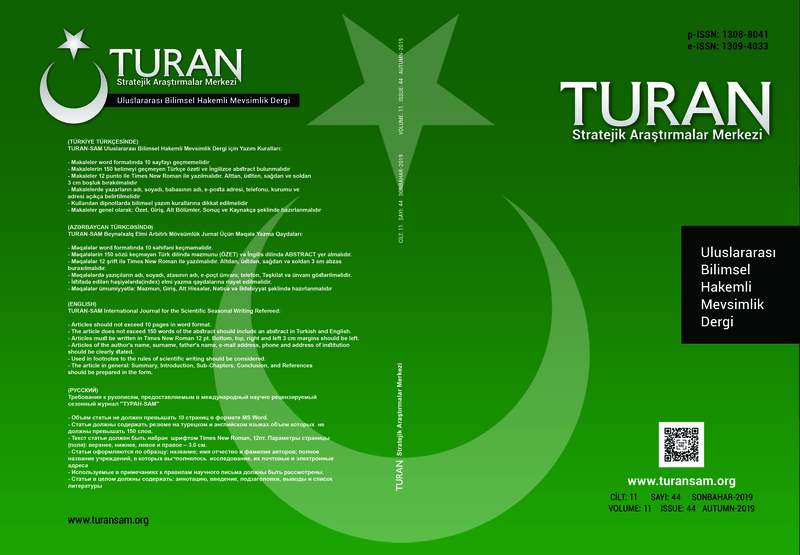 Turkish academicians we met with different purposes during different events consider the new geopolitical concept and practical application of foreign policy strategy (particularly, the idea of “zero problem with neighbors”) proposed by Ahmad Davudoglu as complex of difficult, and in any cases impossible theoretical propositions. But have anything had been possible in the real policy there would be no need in strategies? Different strategy building processes, even in one concept, making impossible things little-by-little possible can be considered as profession, isn’t it? As well, successful integration of the great theoretical concept and strategical vision of academician with officialism itself is an innovation for the whole region, isn’t it? According our initial evaluation the main geopolitical and geo-economic advantages of Azerbaijan at the present time are its geographic situation and dinamically growing economy. The touchstone of inability to pass it on other factors is directly connected with improvement of the human factor quality and owning of certain values. Because as technological and military power, culture, as strategic thought and planning directly require the prepared, complying with the modern scientific-and-technological requirements, and having ability to think and realize innovations human factor. Naturally, availability of environment to a wide extent providing of possibility for human to think and realize ideas is an important condition. The ability to correlate inter-regional collaboration with the internal development dynamics, timely define probable risks is mostly connected with the factors having multiplicative effect - strategic thought, strategic planning and political will too. Having considering the problem in the regional aspect it is necessary to remember that military alliances are temporary, but technological advantages are durable. As it can be seen from the table, commonly there are known three main geopolitical subjects (Turkey, Russia, and Iran) in the region. In this situation realization possibility of the – thanks for new Turkish “spreading strategy” regarding all geopolitical lines – policy of balancing between the Azerbaijan USA-EU geopolitical line and Russia-Iran geopolitical line in coordination with Turkey is strongly increased. At that time, Kazakhstan can be considered the main regional geopolitical competitor, and Turkmenistan, Georgia and Armenia can be considered the second degree competitors of Azerbaijan. Relation between the constant and changeable factors in the composition of the regional geopolitical power coefficients again shows that human factor will be the main element of competition in the region.